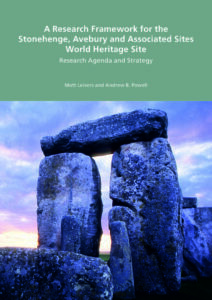 The three volumes of the Research Framework consist of a Resource Assessment of the Avebury part of the World Heritage Site, summarising the known archaeological and historical record and the key techniques used in their investigation; a summary of Research Activity in the Stonehenge Landscape, summarising the advances in knowledge in that part of the World Heritage Site since the publication of the original Stonehenge Research Framework in 2005; and an Agenda and Strategy which builds on the accompanying resource assessments to provide the first fully integrated Research Framework for the whole of the World Heritage Site. Resulting from discussion across the research community – through meetings, workshops and on-line consultation – the Framework offers a guide that encompasses the widest possible set of views and priorities. 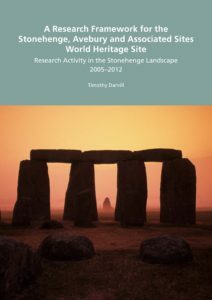 It is in every sense a collaborative document, produced by and for the constituency of researchers working in the World Heritage Site. You can download copies of all sections by clicking on the cover. 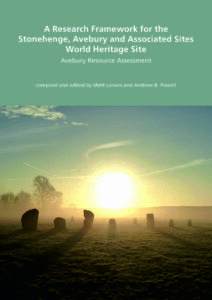 The Avebury Resource Assessment downloads as two parts due to file size.